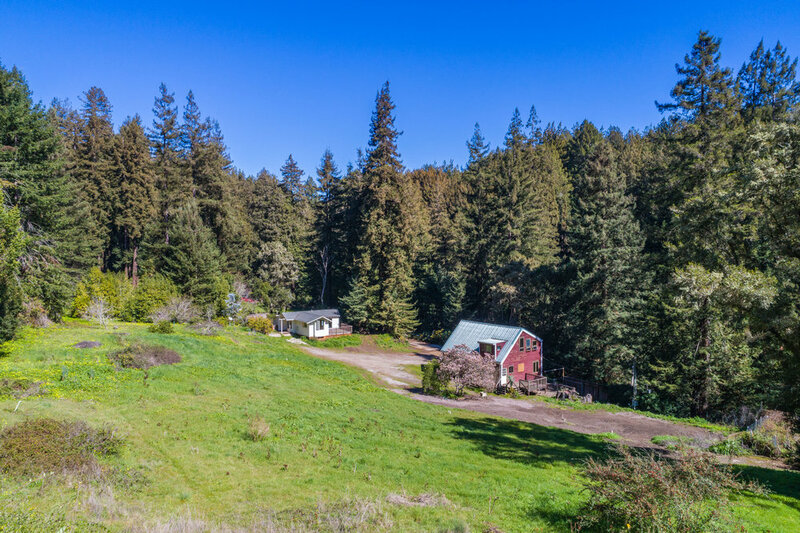 Fall in love with this secluded rose farm! 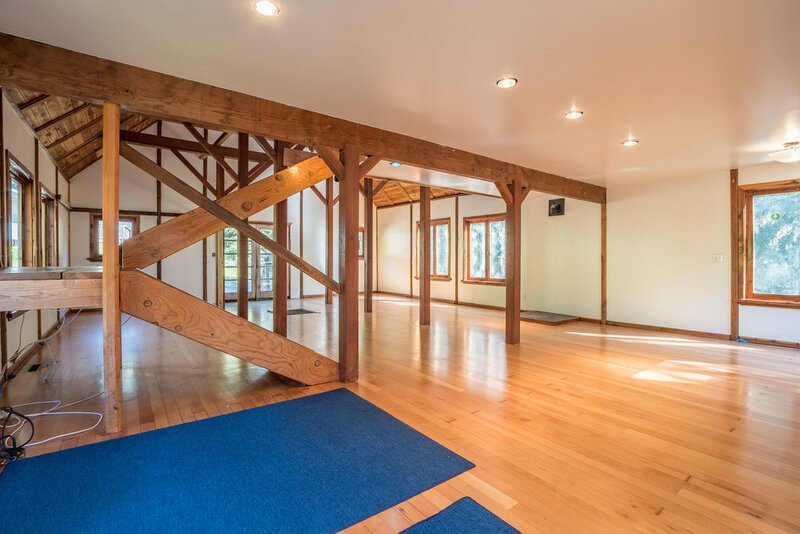 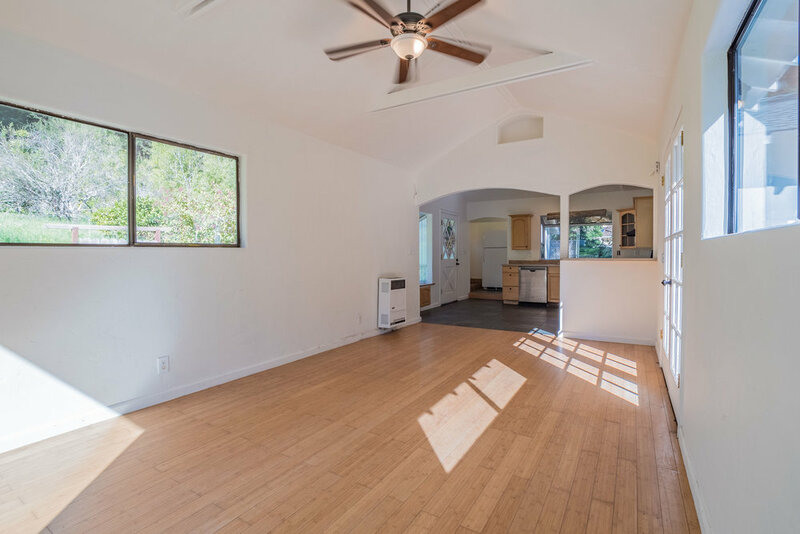 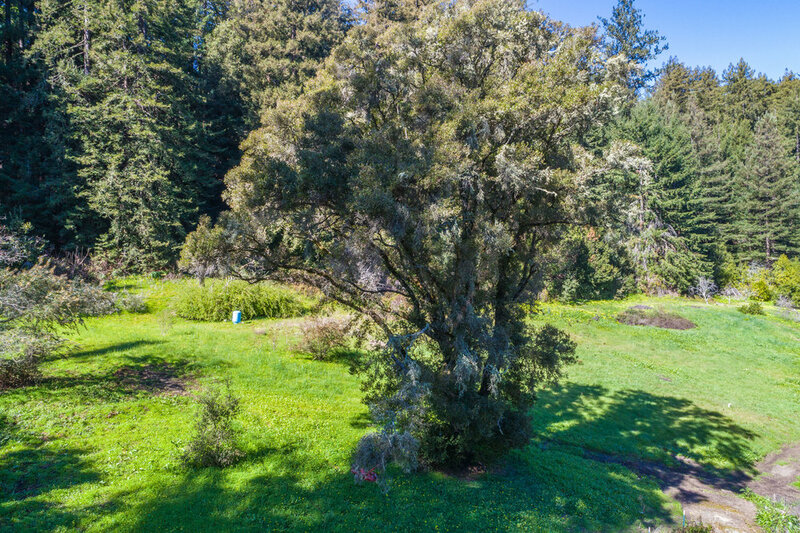 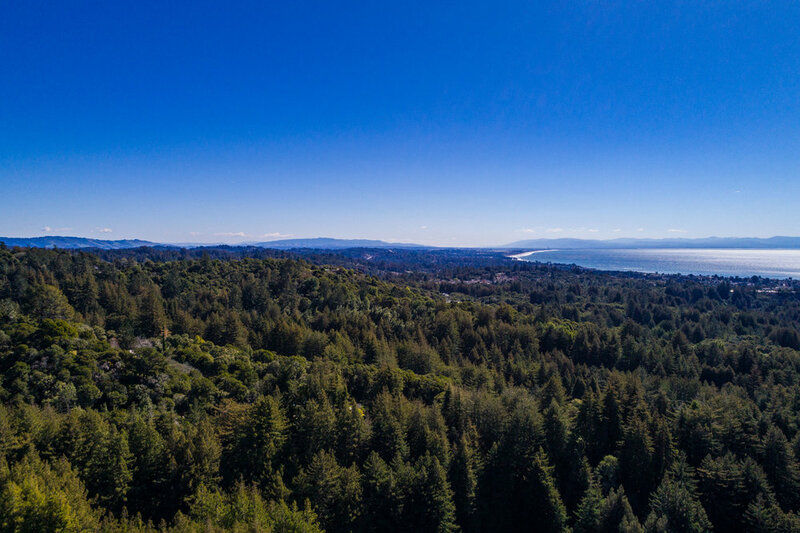 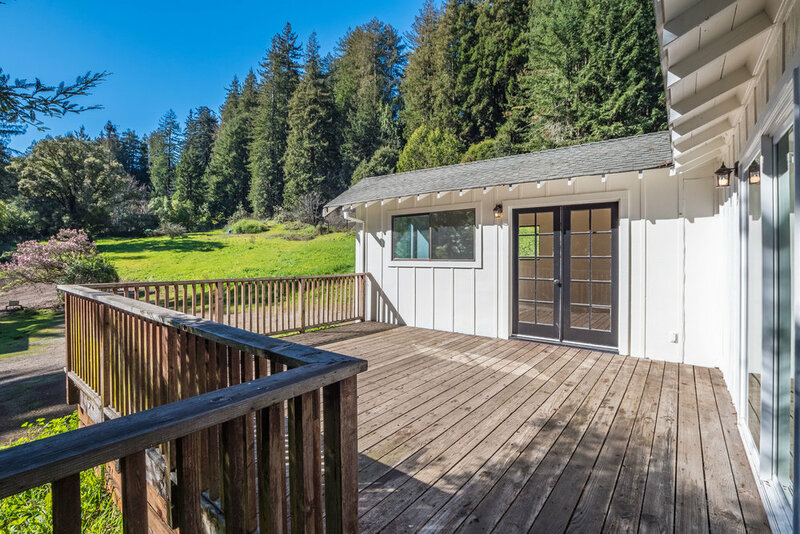 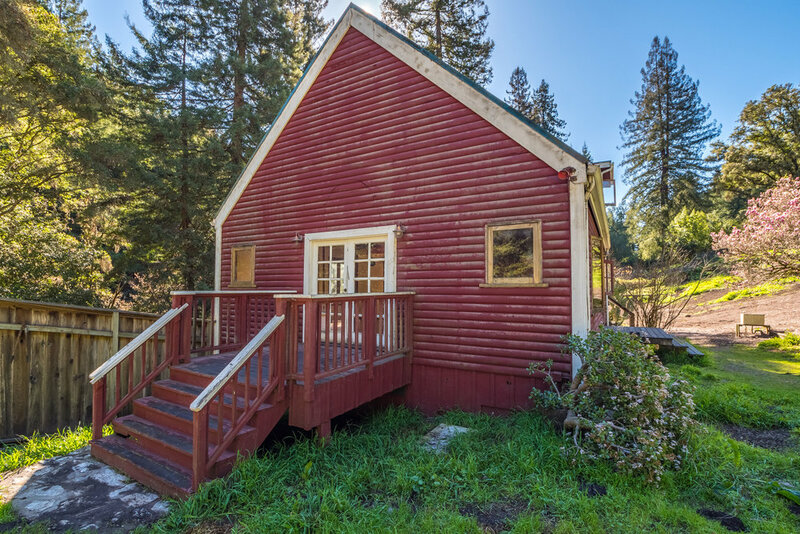 Over six and a half acres surrounded by gorgeous redwoods with numerous building sites. 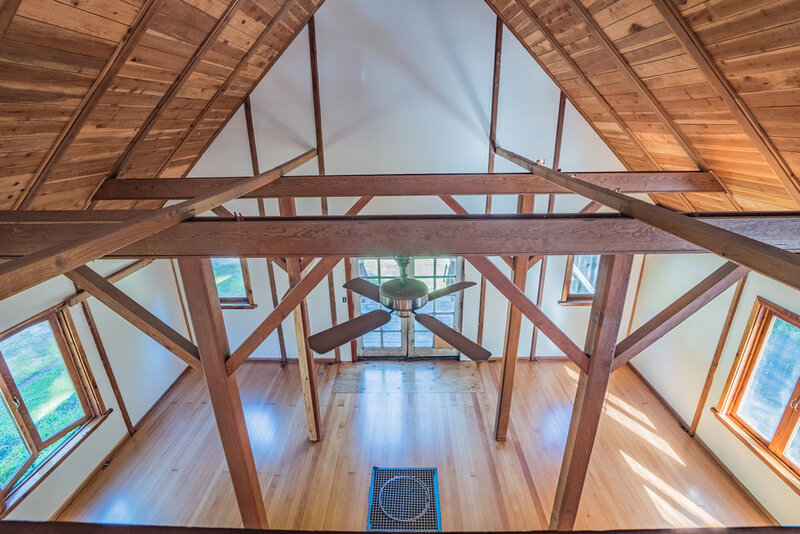 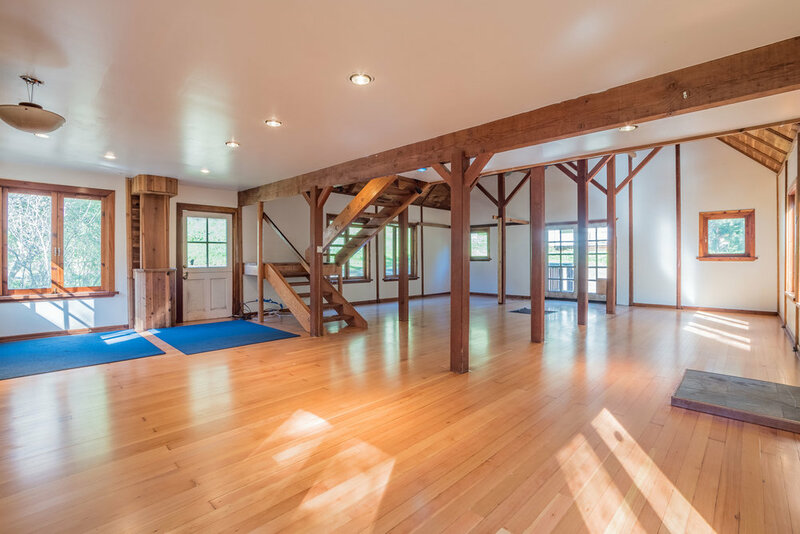 Flexible opportunities abound between a cozy one bedroom cottage and finished tri-level barn with old growth fir floors, basement and vaulted ceilings. 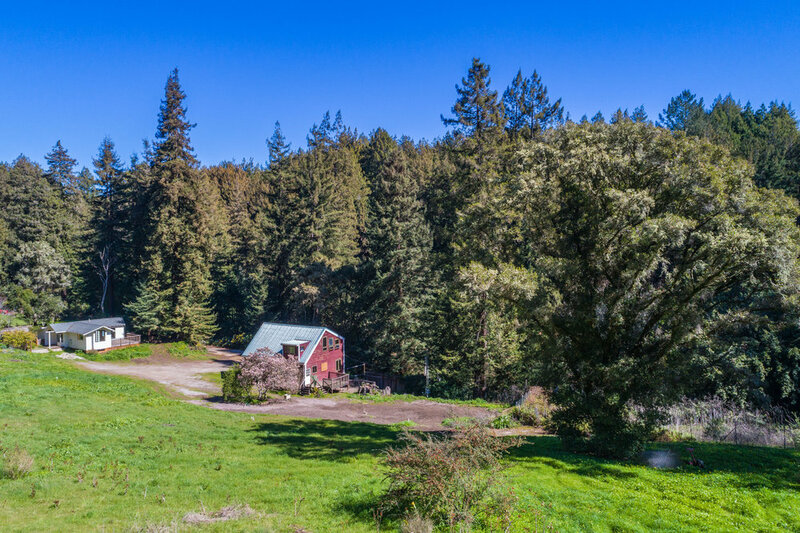 Get back to your pastoral roots and cultivate the land or build your dream estate in nature with room to expand. 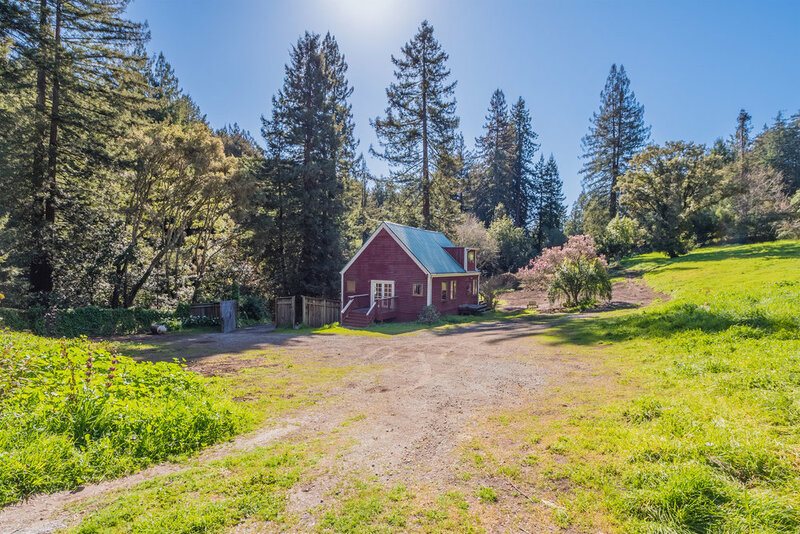 Lore has it that Jerry Garcia would frequent the property on warm summer nights and that the barn served as a hunting lodge at the turn of the century! 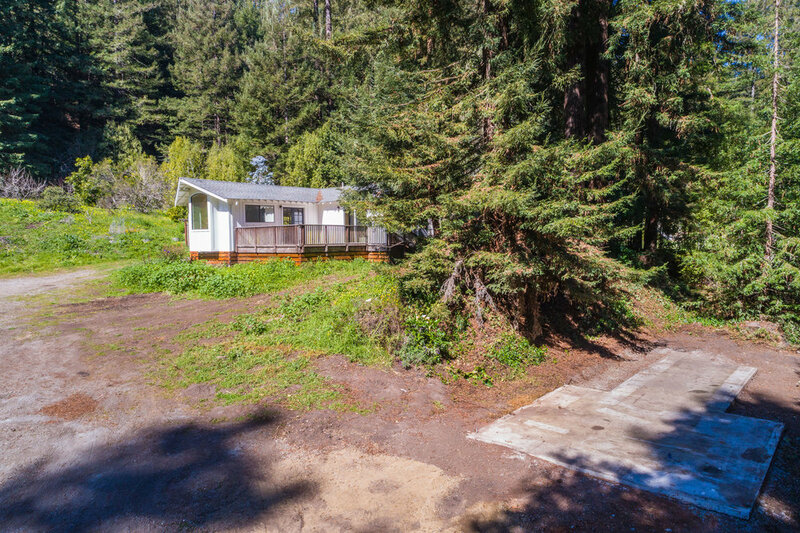 Rarely does this type of opportunity present itself so close to town and with so much potential!